Thursday, May 17, 2018 6:00-8:00 P.M. Possibly the Most Important Meeting You Will Ever Attend! Everyone should prepare for emergencies – but people who have a hearing loss must do more – we must make sure that communication access is available in an emergency. This presentation will bring you up-to-date information on how you and your family can prepare for the next emergency event. Have you ever wondered how to handle a situation that you were unsure of? Well, come and join the fun as we encounter scenarios. Plenty of laughter to be had! HLAA/GBC meetings are free and open to the public. There is ample free parking. Assistive listening devices are provided at all meetings. IT BEEN POSTPONE TILL SEPT! and Alert You to Important Sounds! THURSDAY, MARCH 22, 2018 6:00 – 8:00 P.M.
THURSDAY, February 22, 2018, 6 – 8 P.M. 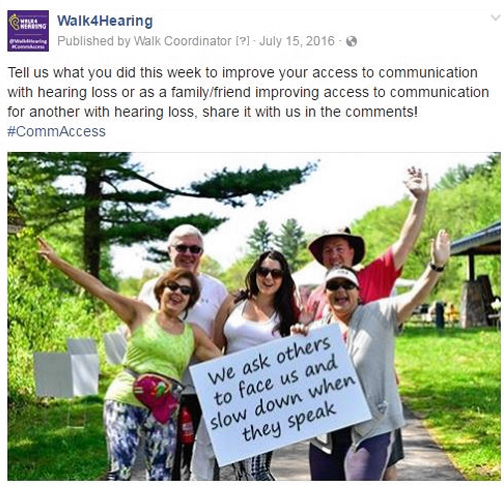 Step up for better communication access. Take action and raise awareness! 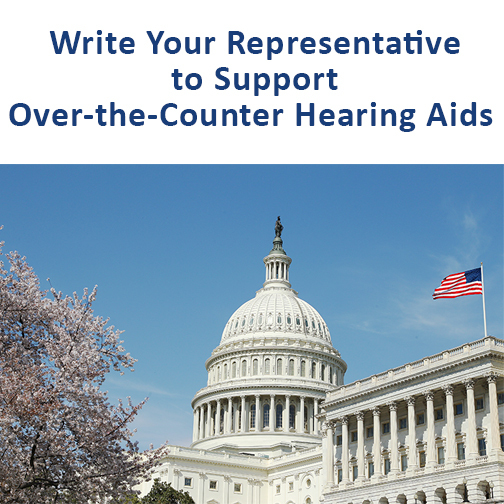 Show your support for the Over-the-Counter Hearing Aid Act of 2017, [S. 670 or HR1652].Find out why this helps all people with hearing loss. Let people know about it on social media. Use #CommAccess and #HLAA4OTC. Advocate on your own behalf. 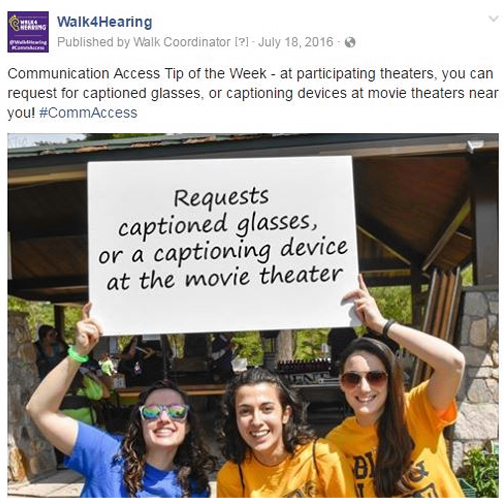 For example, request a captioning device at the movie theater or get a captioned telephone. Here’s a list of suggestions to help you get started. Share this Communications Tip Card with family, friends, and co-workers to help others understand how to better communicate with you. We are honored to welcome the leader of the “Number One consumer-focused organization for people with hearing loss,” the Hearing Loss Association of America (HLAA). Please join us for an inspiring evening with Barbara Kelley, Executive Director of HLAA, our chapter’s parent organization. THURSDAY, NOVEMBER 16, 2017, 6 – 8 P.M.
Have you heard of the Hearing and Speech Agency (HASA)? Join us to learn about this amazing local institution that has been helping children and adults with hearing loss and deafness for over 90 years! Among HASA’s current offerings are educational, clinical, audiological and American Sign Language interpretation services. Perhaps one of these services could be of help to you. …and welcome back…to friends old and new! Come join us and share your hearing-related concerns and issues in an open and friendly atmosphere. You might get some ideas on communicating better with friends, family members, and work colleagues! and find out how others like you are coping with hearing loss. Let’s share our successes, too! THURSDAY, September 14, 2017 6:00 – 8:00 P.M.